Below is a list of items we need to improve our services to residents of Hope Haven Ministries. You will be helping us meet the needs of the homeless population of our community by donating any of the following items. 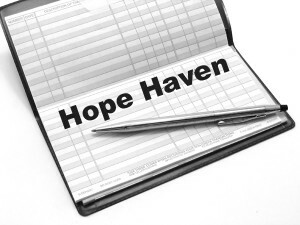 Financial support continues to be our largest need. Personal hygiene items for males/females including shampoo, conditioner, razors, shaving cream, deodorant, combs, towels and wash cloths, sheets and pillow cases, etc. 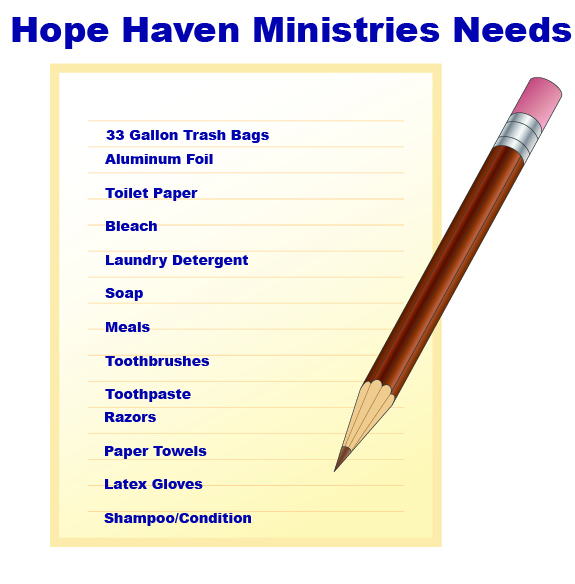 These items are needed on a regular basis as they are used in abundance (especially trash bags!). This would make a wonderful project for Bible study groups or children’s organizations! Office Supplies of all types. For more information contact us at 423.246.6012 or hhm@charterinternet.com.